When you’re thinking about getting a new Acura automobile on a lease contract, your first thought should be of NJ Car Leasing, the premier agent for Acura vehicles in the state of New Jersey! Our all electronic system allows us to be not just competitive but to outdo every other agency in the state in the areas of convenience, selection and price! 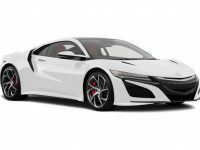 Our connections with Acura dealerships throughout NJ allow us to offer their stock of automobiles as our leasing fleet, meaning that our selection is without parallel throughout the area, and cannot be outdone by anyone who relies on a physical fleet of vehicles which is necessarily limited by the fact that they have to stock automobiles in a lot with a certain amount of space. 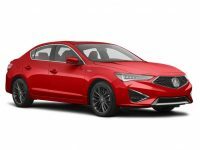 This means that we can offer you every current model of Acura, including the ILX Hybrid Sedan, the NSX Coupe, the TSX Sport Wagon, the MDX SUV, the RLX Sedan and the RLX Hybrid! What’s more, since we don’t have an actual car lot anywhere, the money that we would pay in monthly rent or property taxes is saved and those savings passed directly on to you! And when it comes to the area of convenience, there’s just no better way to get your lease than through NJ Car Leasing! 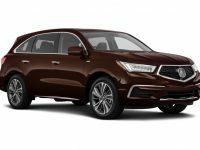 Every step of the process can be completed on our website, meaning that you never have to inconvenience yourself in the slightest to get great deals on an Acura auto lease! For more information or to get a fast quote on the automobile you want, call us up at 201-720-7316 or start browsing our Acura selection page right now! 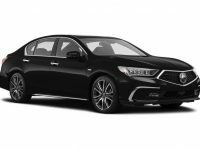 Traditionally, leasing an automobile has been at best a rather inconvenient proposition, and at worst an exercise in frustration. The first step has typically been to visit an agent’s car lot — a plot of land that must needs be large and therefore, if the agency is to have any hope of renting it at a manageable price, far away from convenient urban centers. The lot is furthermore of limited size and thus cannot possibly accommodate a huge number of vehicles, meaning that potential lessees may not even find the auto they’re looking to lease and have to trek out to yet another agency. Then there’s the horde of salespeople who will descend upon the potential client, trying their best to get their hands into pockets and pocketbooks with high pressure sales tactics, hard sells and sometimes outright lies to get clients into not the automobile that they want, but the one that will result in the highest commission for the salesperson. By contrast, at NJ Car Leasing, we place our entire (extensive) inventory on our selection pages, meaning that if you want to lease an Acura RLX Sedan, RDX SUV, TL or ILX Sedan, all you have to do is select that model and get a fast quote on same! The whole thing can be done online and you’ll never be harassed by our sales staff, so don’t wait to find out how smooth the process of car leasing can be! Find your dream vehicle on our inventory page or call us directly today!